If you have a home built around the 1920s to the 40s, there is a chance that the floors of your home are made from magnesite. Magnesite is a form of cement, created through magnesium oxycholoride. What makes it different from normal cement is that fillers and aggregates such as wood chips or sawdust have been added into it. There are many benefits of having magnesite flooring. The added fillers actually make magnesite much more durable than cement. It is also extremely durable, resistant to oils and grease, lightweight, and event noncombustible. The material also helps keep houses cool during the hot summer months. During the 70s and 80s when carpet became more popular, many homes that originally had magnesite simply had carpet put on top of the floor. 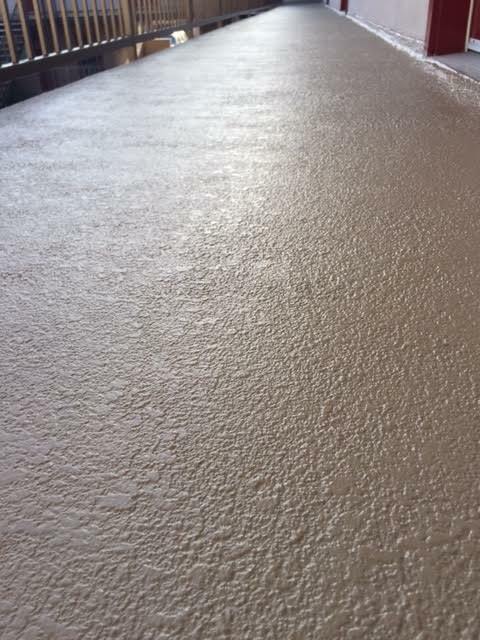 This may result in chipping and/or pitting, which is caused by the hammering of nails on top of the magnesite in order to install linoleum flooring or carpet. The good news however is that if you have discovered that your home has original magnesite flooring, it can be repaired. While repairing magnesite can sometimes air on the more expensive side, especially if damage is rampant, restoring magnesite to its natural beauty will increase the overall value of your home. What makes magnesite unique is the coloration of the material. It ranges from opaque to translucent and has traces of carbonates, calcium, manganese, oxides, iron as well as aluminum. Due to these chemicals, you will want to care for your magnesite floors properly. Once the floors have been restored, you can maintain it through the use of non-oil cleaners. With continual oil being put on it, the residue will eventually have to be stripped off, which may be costly. Instead of using Pine Sol or Murphy’s Oil Soap for example, treat magnesite like you would wood floors and use a polyurethane finish instead. If you are lucky enough to have original magnesite in your home, consider restoring it to see how your home was originally intended to look.